Obituary for Robert C. Etiopio | Rhoney Funeral Home, Inc.
Of Lewiston, NY passed away March 31, 2019. 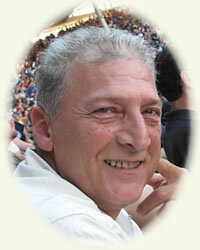 He was born in Niagara Falls, NY on November 29, 1950, the son of the late Christopher and Teresa [Cotugno] Etiopio. Mr. Etiopio served in the US ARMY and retired from Durez Niagara. He was an avid Yankees fan, enjoyed golfing, cooking, listening to music, visiting his brother in Arizona and most of all, spending time with his family and grandchildren. Robert is survived by his wife Linda H. "My Bride" [Cantara] Etiopio, daughters Renee M. "Ace" (Jason) Schouten and Stephanie L. "Futes" (Bryan) Frey, grandchildren Emilyn and Maci Schouten and Sophie and Brayden Frey, brother John (Kari) Etiopio, sister Carol Cheff, nephew Chris Baker and niece Angela Cheff. Family will be present on Wednesday from 3-7PM at the RHONEY FUNERAL HOME, 901 Cayuga Street LEWISTON, NY, where Military Honors will follow. In lieu of flowers, memorials in his name to the American Cancer Society.